The Victoria Forms design team will supply a fully featured, interactive online eForm, originally based upon the Department for Work and Pension’s HCTB1 model claim form (LHA edition). This is updated in order to reflect the need for the Council to collect necessary information for its Local Council Tax Reduction/Support scheme and the Welfare Reform necessary data, e.g. number of bedrooms within a Social Housing residence. The eForm will be branded for your organisation. If required, with additional design work, and at small cost, all aspects of this eForm may be further customised. 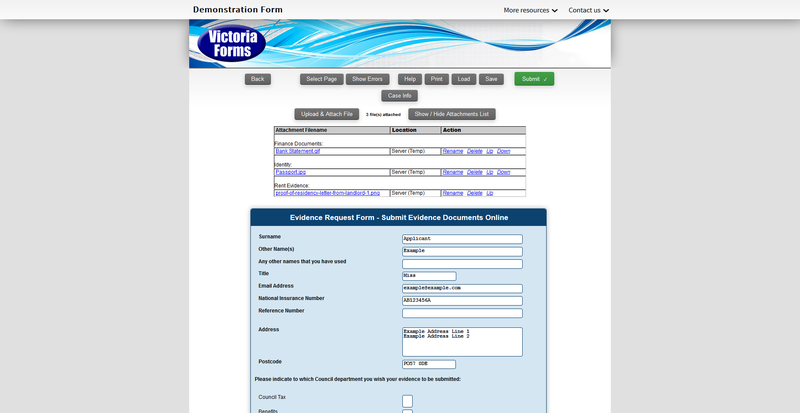 As an alternative to our standard HB-CTR Application eForm, Victoria Forms can also design a bespoke application eForm based upon the design of the Council’s own paper application form. The eForm will have all of the intelligent interactivity of our standard eForm, but have the advantage of being a design that matches your exact specifications. This project will typically take 6-8 weeks. A customised letter can be designed for the purpose of printing and posting detailed information to the applicant with dynamic content, specific to the customer’s application. This customised letter is created in accordance with template content supplied by you and will be added either as hidden pages to the eForm or as an additional eForm into which data can be switched from the submitted main application (whichever is preferred). Incorporated dynamic content may include a list of the information a customer may need to provide in order to provide necessary evidence in support of a submitted Benefit application, specific to their circumstances. For the ongoing Localised Council Tax Support/Reduction, our calculator is designed to be fully flexible, whatever your scheme, year on year. On setup, an administrator accesses a configuration screen. This contains 25+ parameters that you can adjust to your precise local scheme. 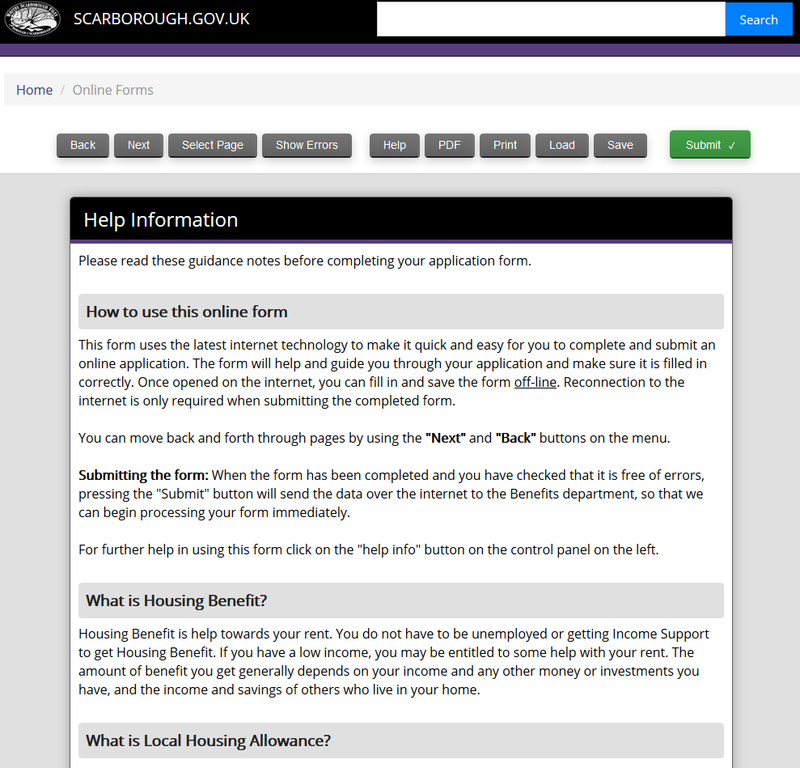 For Councils using our full eForm System, following completion users can “Apply Online,” with data already entered into the Calculator passed to our intelligent HB-CTR Application eForm. By routing applicants through the Calculator before they fill in the eForm, you can ensure that you department does not waste time on claims that will be rejected. Users only see the pages and questions that are relevant to them. Designed to maximise ease of use, as information is entered on screen the calculator slides open or closed questions and sections of the page, depending on whether they are relevant to the applicant. 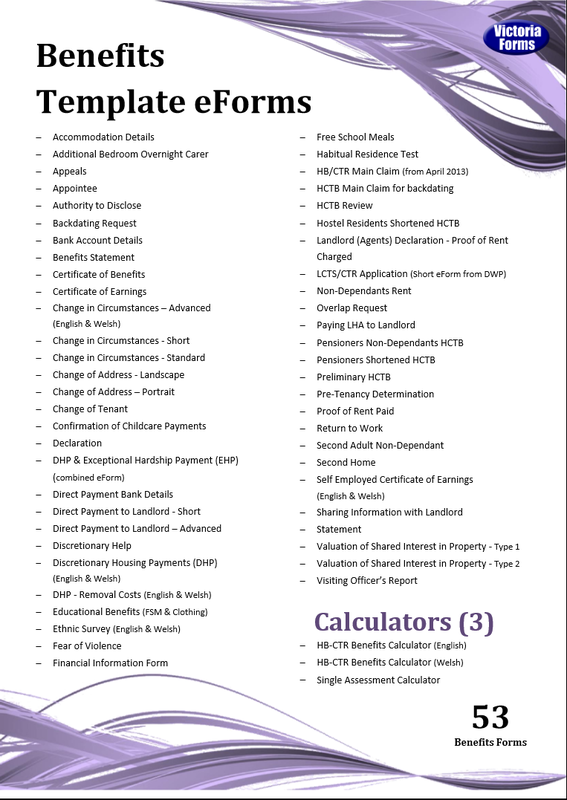 Our Advanced Change in Circumstances form covers a range of potential changes and asks tailored questions relating to the relevant areas of the form. Basic details are required, and then the form asks customers to tick boxes for any relevant changes. 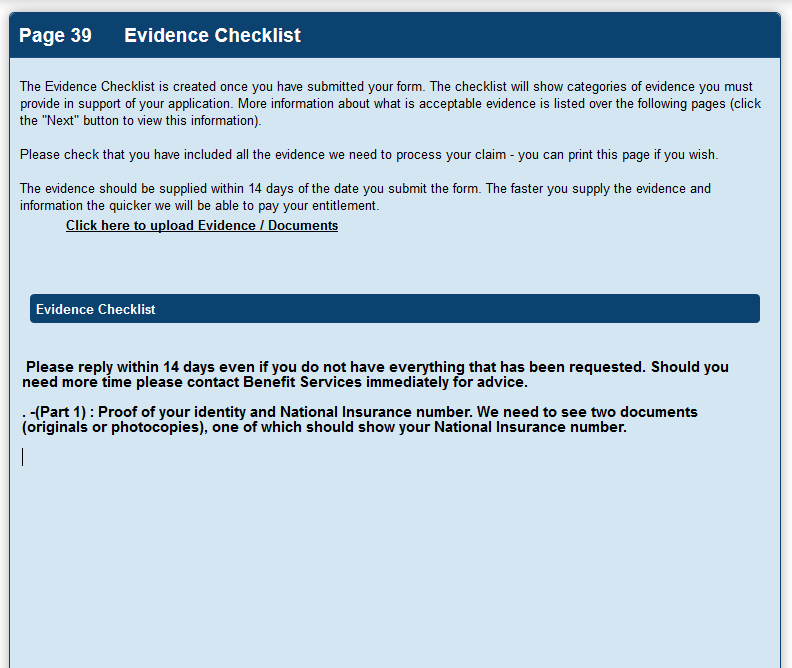 Sections of the form are then displayed relating to each change, and from the answers given, a dynamic evidence checklist is created for the customer. The form also creates a summary of the answers given, allowing customers to double check they have not omitted any information or made any mistakes. Reportable changes include: change of address (including ‘moved away from the area and no longer wish to claim’); partner, children or other adults moving in/out; income or capital changes; change to rent or landlord; payment details update, student status; and withdrawal of a claim. Information from this form can be integrated, using our CIC Integration package, which allows the information to be used to amend claims directly within Back Office systems, ahead of manual processing by staff. The three key forms detailed above are part of an extensive library of over 50 ready-made forms, designed specifically for benefits departments. Our libraries are kept up to date as Benefit regulations change and improvements are identified, and new eForms will also be added to the libraries where our customers identify a need. Our add-on XML system integrator module converts New Claim eForm data into XML files of a format specified by the national standard. The system then exports this to any of the popular benefit processing systems, including the Northgate, Capita and Civica Benefits Systems. Following approval, data will pass directly into the benefits system and be available to view in the Assessor’s screen, without the need for re-keying data captured in the eForm. Victoria Forms Advanced Northgate Automation extends the integration process when setting up a new claim. 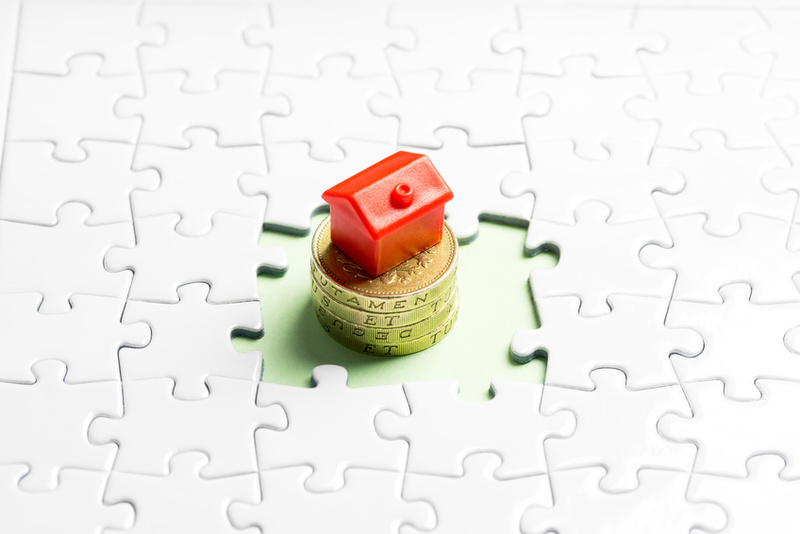 As well as setting up the basic details of the new claim, the Automation process uses multiple Northgate APIs, advanced validation, and sophisticated use of business rules to reproduce many of the manual steps that an assessor has to do before they begin to calculate the claim. • Automatic Backdating of Claim for Pensioners. 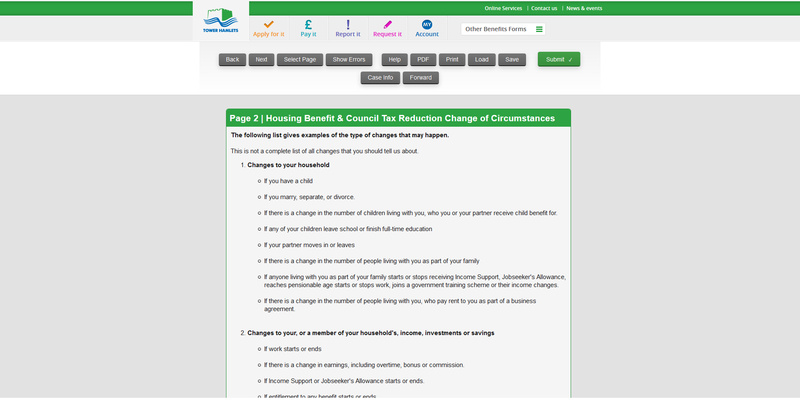 Victoria Forms’ change in circumstances module facilitates the automatic update of records for the numerous changes to household members and income a Local Authority receives every day. In addition to the most commonly reported changes, Victoria Forms’ advanced HB / LCTS Change in Circumstances eForm also covers less frequently reported changes in detail, ensuring the whole spectrum of change reports are subject to automation efficiencies. The HBLCTS Claim Form and Change in Circumstances forms can integrate with the Risk Based Verification service provided by Call Credit to amend the dynamic evidence checklist, based on the returned risk score. Low risk claims require less evidence to verify, reducing the time taken both for claimants to gather evidence, and for assessors to process the information; freeing up money and resources to handle high risk claims and provide additional help to those most in need. Risk Based Verification results are returned to the form instantly after submission, so the claimant is able to see their evidence requirements straight away. This information can also be emailed to the claimant, along with links to any supplementary forms, streamlining the evidence collection process. Local Authority users of the Victoria Forms solution can use the Department for Education Eligibility Checking Service (ECS) to evaluate the eligibility of new applications without the need for claimants to provide evidence of qualifying benefits (the ECS checks against data held by HMRC, DWP and the Home Office). The ECS service has recently been expanded to check eligibility for Free School Meals, Funded Early Learning for Two Year Olds and Early Years Pupil Premium. 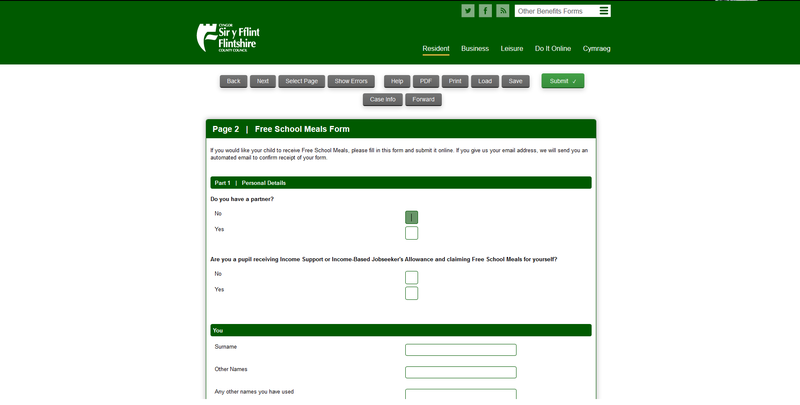 Our standard Free School Meals form is available as part of the Benefits Forms Library, or a custom form can be created to mimic your authority’s existing form if required. Using a snapshot of a back office property database, or a service such as Gazetteer, an address lookup functionality can be added to any eform to help claimants or assistive members of staff quickly find a valid address. Use the Attachments module to collect evidence to accompany Housing Benefit Claims and Change in Circumstance reporting. Paired with Risk Based Verification and the dynamic Evidence Checklist, the Attachments Module allows customers to instantly view the evidence requirements and upload certain documents as evidence to be submitted alongside their claim. Attachments can be enabled on the main forms, or claimants can be directed to a separate Evidence Attachment Form which can be submitted separately, giving claimants time to gather all required documents.